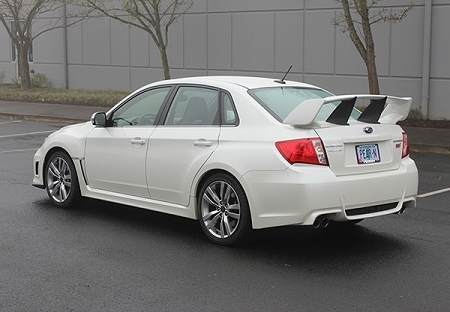 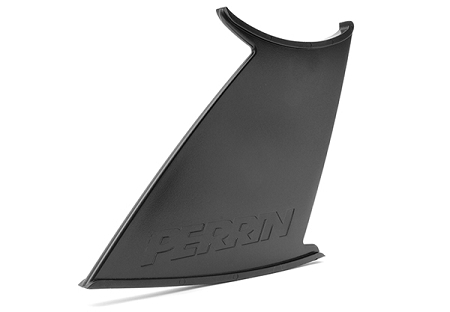 The PERRIN STI Wing Stabilizer reduces flex and bounce in your wing adding WRC styling. 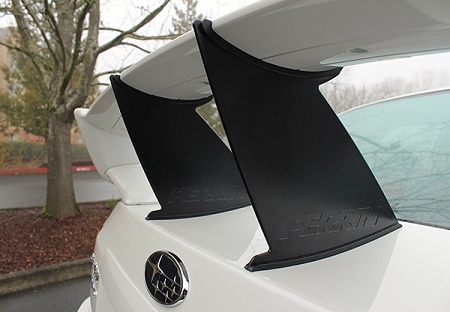 Recommended configurations include using a single stabilizer to eliminate wing bounce all together and two stabilizers for an aggressive WRC look. 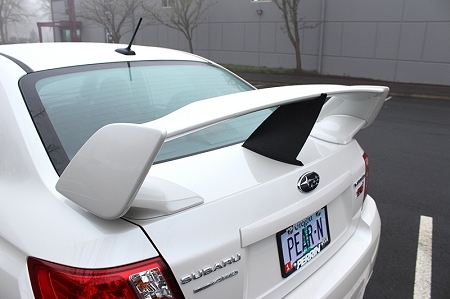 Configurations of three or more wings can be accomplished with modifications; instructions include directions on how to install up to three wing stabilizers.